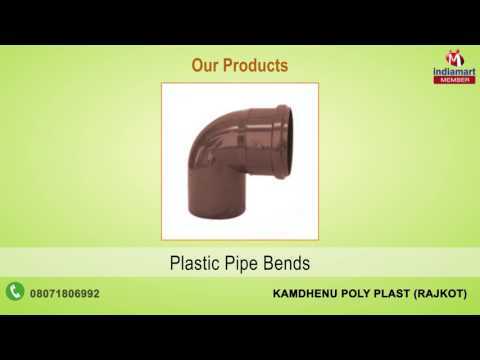 Established in the year 2010, we, Kamdhenu Poly Plast, are a renowned manufacturer and supplier of a remarkable range of SWR and UPVC Brass Fittings. The range offered by us encompasses UPVC Brass Fittings, UPVC Brass Elbows and SWR Fittings. All our products are designed and manufactured at our production unit by the experienced professionals making use of optimum quality raw material. Moreover, in order to meet the diverse needs of patrons, we offer these products in variegated sizes, dimensions and specifications. Owing to the attributes such as sturdy construction, dimensional accuracy and resistance against rust & corrosion, these products find their applications in engineering, Hydraulic, Steel, Chemical, Petrochemical, Oil refineries and chemical industries.